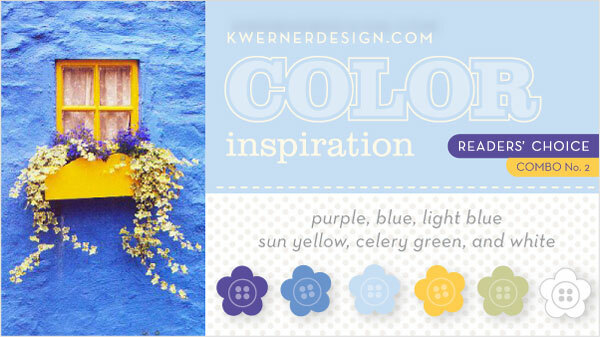 This card is late, but I wanted to participate in Kristina's Readers' Choice Color Inspiration No. 2. We were watching the Lady Gaga episode of Glee tonight on Hulu, and I lost track of time. Oh well! I can't get enough of both Lady Gaga and Glee. The colors in the inspiration photo are beautiful. This card started with a die cut from my Silhouette. I backed the circle with a piece of vellum. The vellum already had the swirls in it. The rest of the card was easy to put together. Happy Sunday! 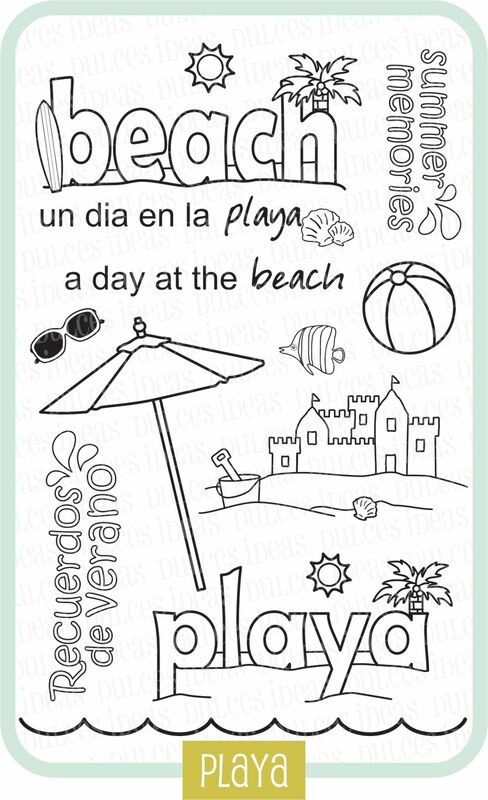 I'm back today to show the latest set of stamps from Dulces Ideas Clear Stamps called Playa. The stamp set will be available on June 1st and will sell for $10.99, plus shipping. 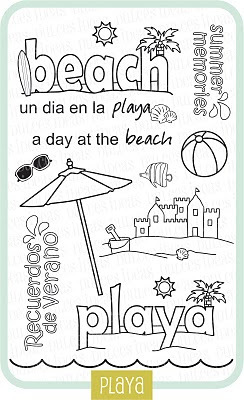 The stamps are great beach-themed stamps in English and Spanish. We were at the ocean yesterday in Big Sur to celebrate the fact that we got engaged overlooking the ocean in Big Sur 10 years ago. The day was beautiful. The only problem was Kalino got car sick from the winding road. This was not his first trip to Big Sur, but the car ride did not agree with him. We had an awesome dinner at the Restauranat at Ventana Inn and Spa. They don't have a kid's menu, but they made Kalino the most awesome burger and fries. Here's the card I made with the set. I paper pieced the umbrellas with paper from Papertrey Ink. The ball, shells, and fish were also paper pieced. The card is pretty clean and simple. Yay it is Friday! 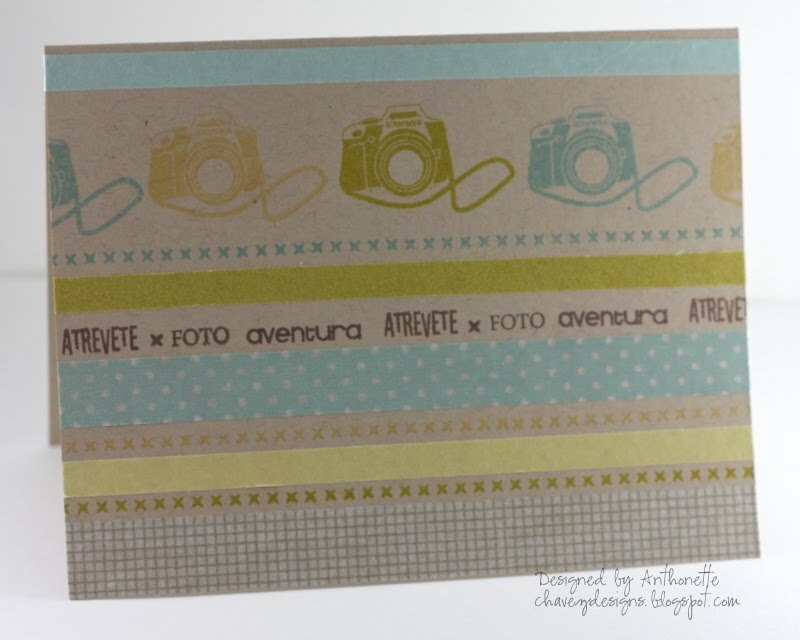 I'm back early today to show you a new set of stamps from Dulces Ideas Clear Stamps. It's called Dia del Padre. 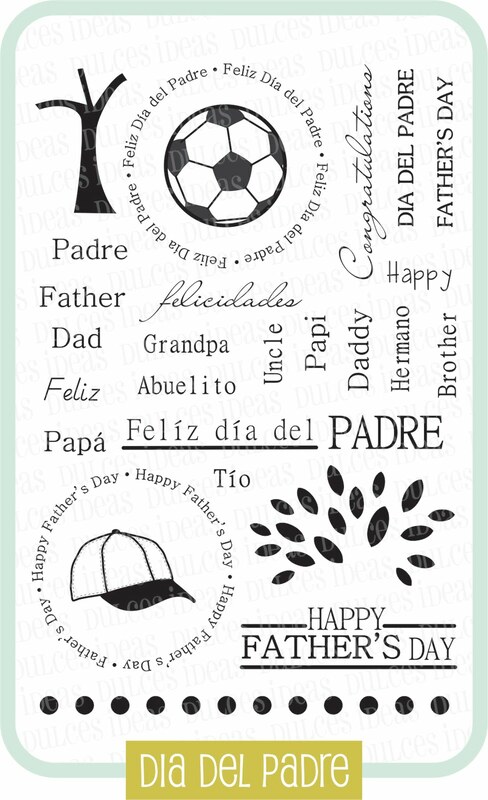 This set is a perfect set of english and spanish Father's Day (and congratulations) sentiments. This set will sell for $10.99 plus shipping and will be available in a few days (June 1st). I really like the versatility of this set. You can make cards for your father, grandfather, uncle, and brother. It was hard to only make one card with this set, so I made 3 cards! I'm only showing you 1 card today. I'll post the rest tomorrow. For this card, I used this color combo from Two Happy Stampers. I stamped the dots on the twill tape. 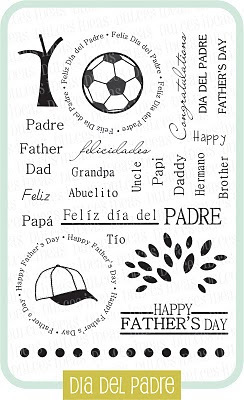 I used the sentments from Dia del Padre to list out the various names for dad. I call my dad Dad, but my son calls my husband Papá. I love hearing a spanish pronounciation coming out of his mouth. What do you call your dad? I've been keeping a little secret about a new company I get the pleasure to design for the next several months. 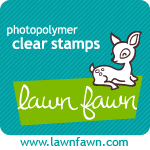 Paloma Gomez started her own clear stamp company called Dulces Ideas Clear Stamps and she asked me to be a member of her design team. I couldn't say no; I love her work! Her bi-lingual line of stamps will be available June 1st and will cost $10.99 plus shipping. Such a great value! For the rest of the week, I'll be showcasing her sets. 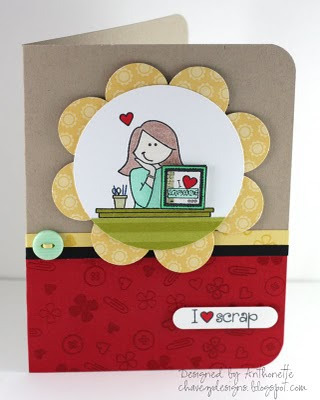 Here's her first stamp set called "I Love Scrap". 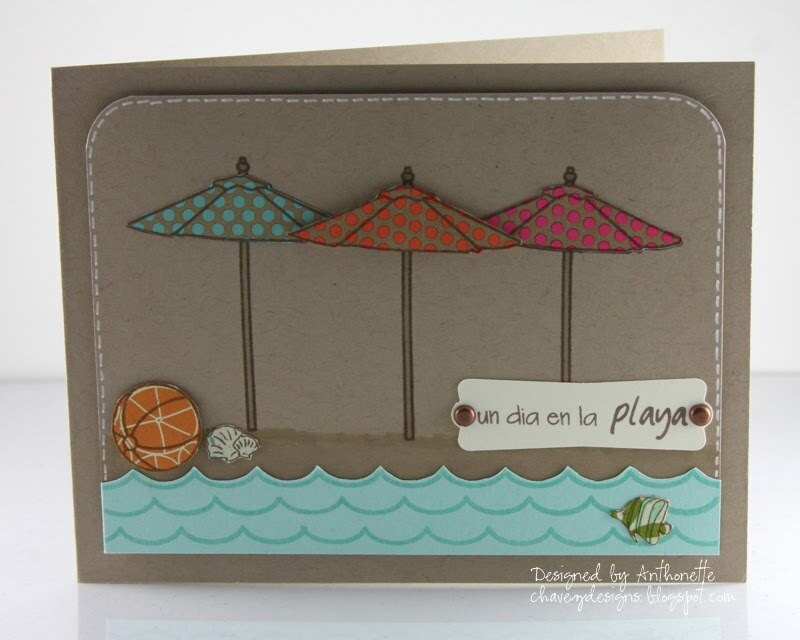 Here a just 2 cards I designed with her stamps. 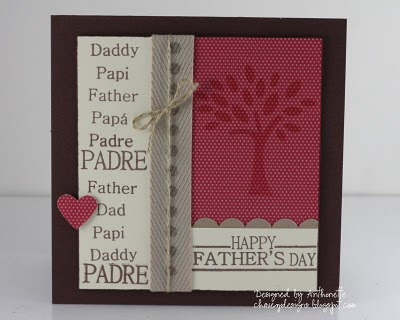 I used the smaller stamps to make the red patterned paper. This card shows I definitely need more Copic markers. I don't have hair or skin colored markers. I used colored pencils. The second card was just for fun. The guys and I went to Maker Faire this past weekend at the San Mateo Fairgrounds. Maker Faire is awesome! I've heard it being described at "robots meet Martha Stewart". It's techie, innovative, creative, inspiring, & our favorite event of the year. It's Disneyland for Nerds. There were over 600 "makers". I found a huge selection of Japanese washi tape from Tinted Mint. I used the masking tape like paper. 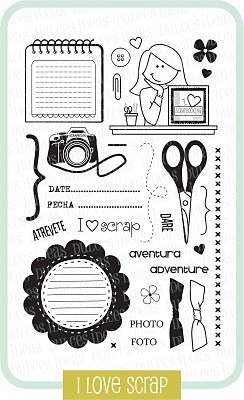 Check out Dulces Ideas Clear Stamps today! Have a good one. Hi everyone! Time sure flies fast. Time again for the Papertrey Ink May Blog Hop. This month our challenge was to use felt. I had to use the Raspberry Fizz felt from PTI. Great stuff! 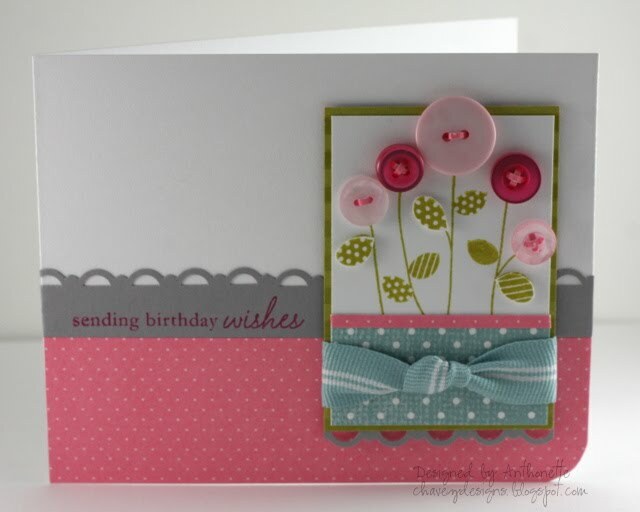 This card design was based on a cute card in a previous Stampin' Up catalog. I stamped the butterfly in Brilliance ink on vellum and heat embossed it with clear embossing powder. The felt was cut with a die from Papertrey Ink. 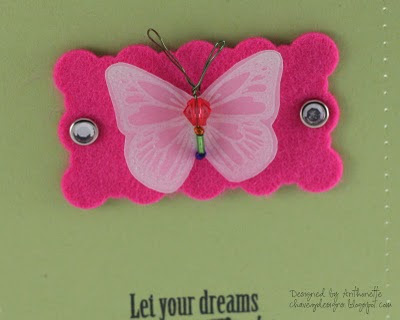 The beads and wire were added to the vellum for the butterfly's body. So many cards to make...so little time! Life is super busy. Here's a card I made for my sister-in-law's upcoming birthday. I hope she doesn't see this blog entry. 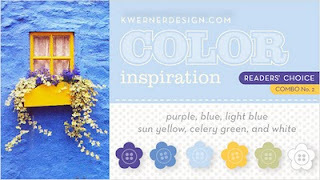 The colors used on this card come from Kristina's first ever Readers' Choice Color Inspiration No. 1. My card was literally the last entry before the deadline was up this evening. Yay! I'm happy it's finally Saturday. The week was a busy one. I was the MC at our Latino Cultural Performances at school. We hired a mariachi band to play while we had moms, kids, our principal, and staff performing. It was fun! The dancers & mariachis truly did an awesome job. Yesterday at school, we had a surprise baby shower for one of our dear friends and PTA leader. The Patague family doesn't know what they are expecting, so I kept the card gender-neutral. The onesie was inspired by Twilight t-shirts (Team Edward, Team Jacob). 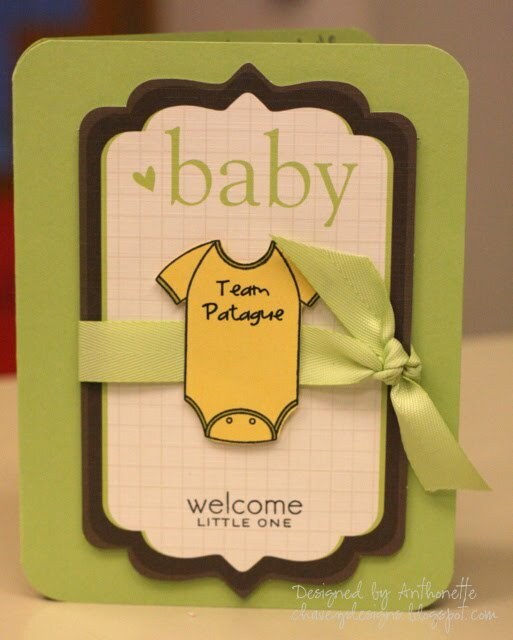 I printed the "Team Patague" from Microsoft Word on So Saffron cardstock and then stamped the onesie on top of the writing. I used a Copic marker to outline the seams of the onesie. Well, I better run; I've got another party to attend. Thanks for stopping by! Hello, my dears! 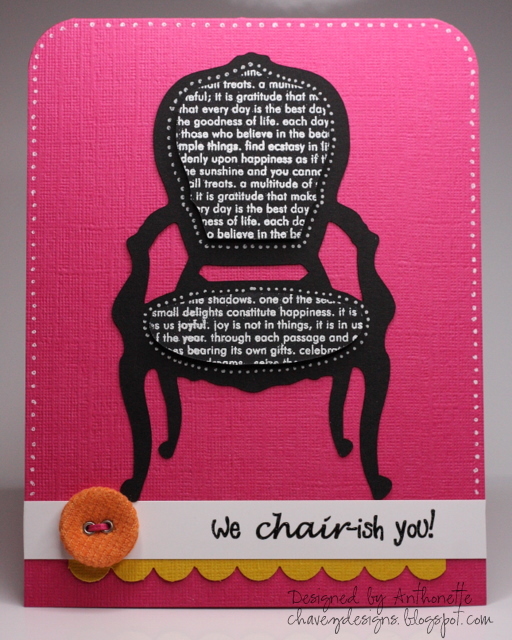 Here's a card I created today for Cath's Three Cheers for Chairs Challenge in the Moxie Fab World. 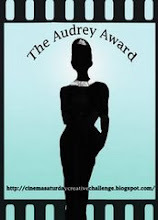 I used my Silhouette to cut out this vintage chair from black cardstock. I gave the chair a modern twist by re-upholsterying it using a text "fabric" courtesy of a Papertrey Ink stamp. The upholstery is lifted off the card with foam tape. I created the sentiment on my computer. Since the ink was still wet when it came off the printer, I was able to sprinkle clear embossing powder on it and use my heat gun. Cool! The button is threaded with a thin strip of Melon Mambo paper. 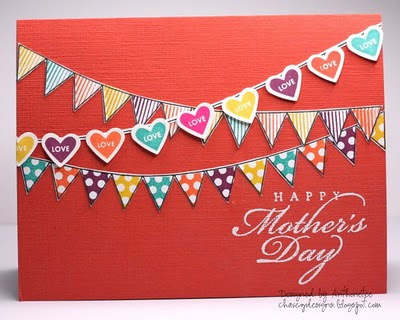 To you moms, Feliz Dia de Las Madres! Hope you have a great day. 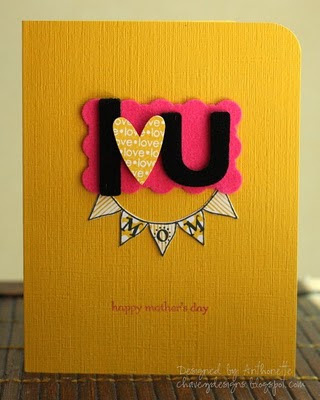 This is the card I made for my mom. 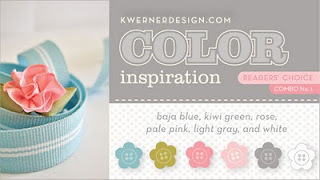 It's currently in the mail on it's way to New Mexico, so I'll have to tell my mom to check my blog to "see" her card. Love you, Mom! 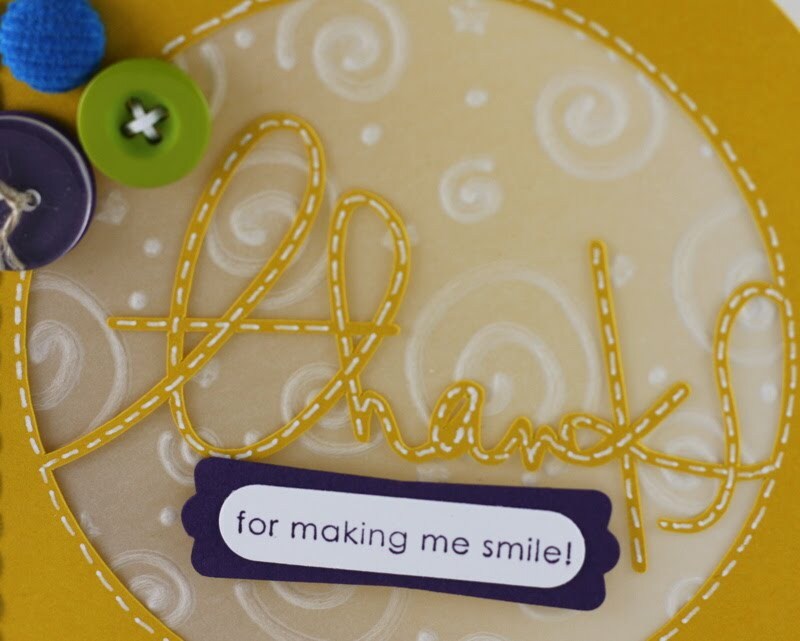 This card uses the cute banner stamp from Practicing Creativity. I stamped the banner 3 times on white cardstock. 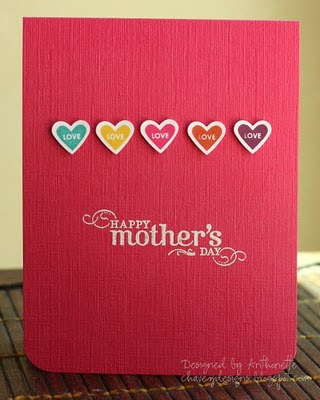 On one of the images, I cut off the banners, so I could attach the Love hearts from Stampin' Up. 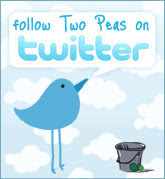 This card as well as yesterday's card was shown on the Cards Magazine blog on Friday. It's the start of another weekend. I hope you are all doing well. Tomorrow will be busy with school-related stuff and my in-laws visiting. My husband and son are also looking forward to seeing Iron Man 2. Here's my second attempt at making a Mother's Day card for my mom. I like this card a lot. 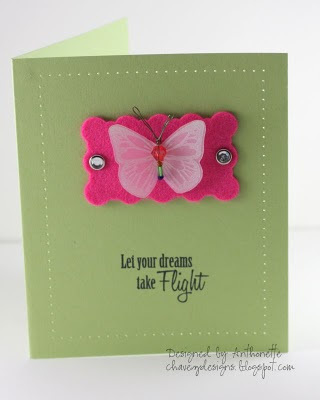 I love the Raspberry Fizz felt from Papertrey Ink! It die cuts really well. I like the new Fillable Frame #3 die. I also used the banner stamp from Look Up by Practicing Creativity. "Mom" was stamped with some very old Hero Arts alphabet stamps. The chipboard is velvet-covered from Anna Griffin; very soft. 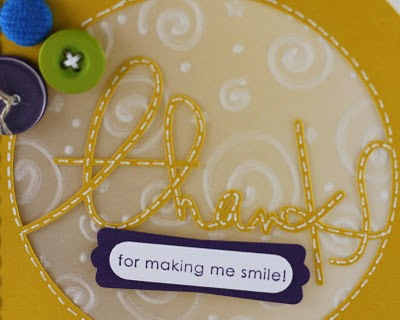 I love that heart stamp from Stampin' Up! Hola! 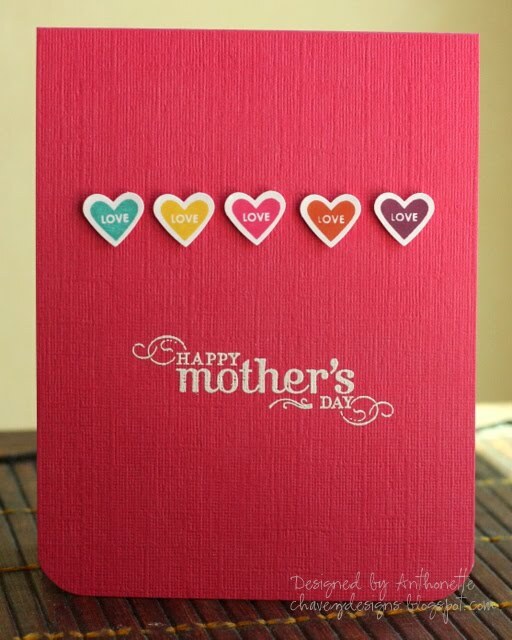 Here's a clean and simple Mother's Day card I created based on this gorgeous card Jennifer McGuire posted (the second one in her blog post). I like my card, but I love Jennifer's a lot more. I should've stamped the sentiment higher on my card. 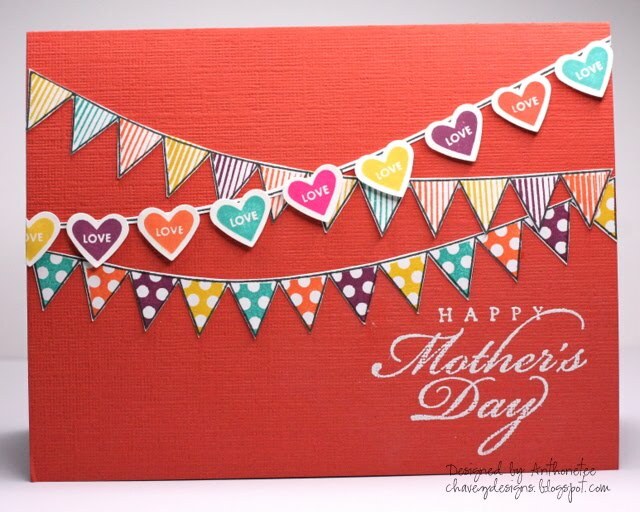 I've got two more Mother's Day cards to show you, but I'll have to do that later. Time to pack lunch for Kalino. See ya!